Welcome to Hideaway Boarding Kennel! Are you taking a vacation away from home? Are you in need of a place for your beloved pets to stay? Does your busy schedule afford you little time to give your dog or cat all of the attention that you would like to give them? 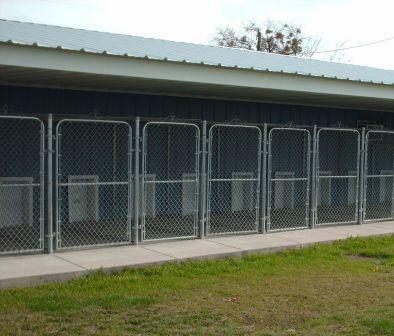 Bring your pets to Hideaway Boarding Kennel, and leave your unnecessary worries behind. We have the doting staff and facilities needed to give your precious pet the love and care it requires while you're away. We recommend that you bring your pet's food for their stay. We provide special bedding for their comfort. We have separate buildings for toy dogs, average-size dogs, extra large, active dogs and senior dogs. We are glad to give a tour of our facilities to prospective clients so that you may have a full understanding of what we offer before you leave your pets with us. Please call ahead so we can ensure we give you our full attention. We're looking forward to meeting with you and your pets!